I’ve been a daily hair washer all my life and have assumed that my fine straight hair needed to be clean to have body. Oh not so. I’ve also been toying with new products to keep it clean looking and good smellin’. 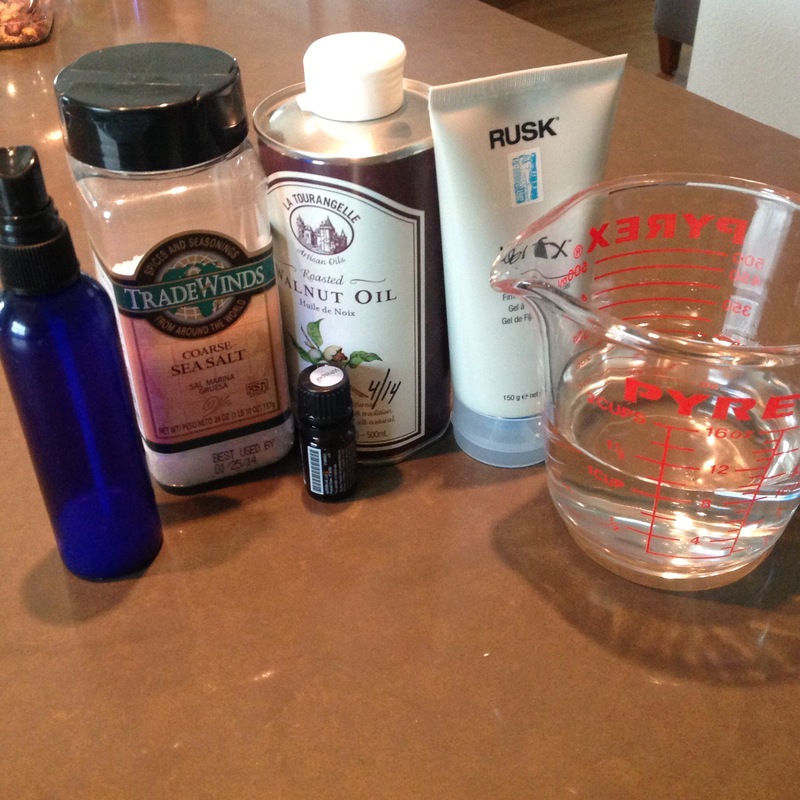 This is my recipe for sea salt spray that I use on day two of a non-wash day to refresh my style, create texture and give my head a nice scent. This is my hair, unwashed after a spin class and 2 hours of gardening under a hat. Spray the roots and finger it back into style. Smellin’ good too.